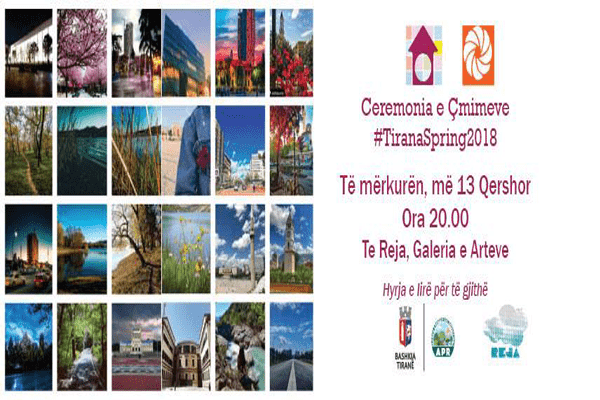 Visit Tirana is organizing the Award Ceremony of Social Media Competition #TiranaSpring2018, on Wednesday, June, 13th 2018, 7.30 pm, at Reja, in front of National Gallery of Arts. This is the 6th context of Visit Tirana in Social Media. We are so happy that the community of photographers of Tirana is going to extend. The competition ran in Social Media channels of http://www.visit-tirana.com/ for the period March 1st - May on May 31, 2018. Over 1 400 photos were submitted by fans and followers, using hashtag #TiranaSpring2018. Tirana looked more beautiful than ever this Spring in your photos. Three winners will be announced. We invite all people who participated in our contest and followers of Visit Tirana, to share our passion for the city! See you there! Don’t miss!